It’s that time of the year–time to think about giving gifts to your co-workers, best friends, cousins, and all the important women in your life. When we give gifts, we are always on the hunt for that special gift that isn’t just going to sit in their closet but instead will inspire them and help them reach their goals. There are so many gift guides out there online right now. We wanted to make our first gift guide a little bit different. Many women love glitter and shimmer, and that’s why Greetabl tops our list for the best gift idea. It’s the perfect, personalized, sparkly gift you’ve been searching for. And since the holiday is just around the corner, their glittering golden goodness limited-edition Gold Holiday Kit is a perfect gift for someone who shines brightly! Inside the kit, you’ll find: a gold foil “Shine Brightly, Be Merry” quote card, gold sugar Christmas spice extra dark chocolate for their sweet tooth, and gold, sparkly confetti to top it all off. 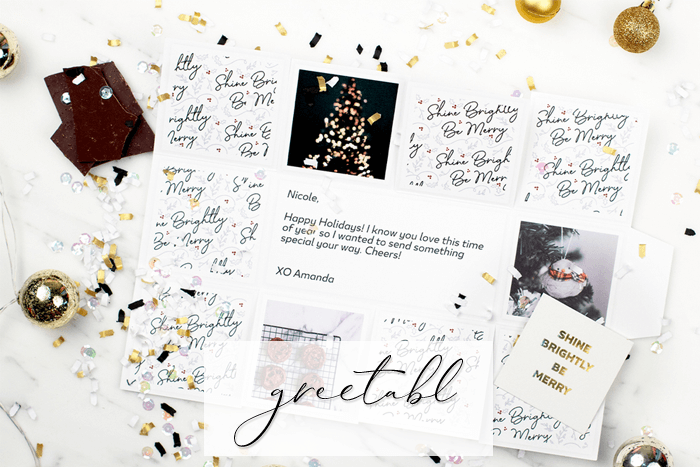 Greetabl offers other themed boxes to choose from and even makes it easy to send dozens (or hundreds!) of gifts with their easy to use CSV upload option. Are you ready to save time, reach your goals, and be happy? Order The NEW Create Your Future Planner from Classy Career Girl. Another of our favorite is this Mantraband bracelet. We love inspiring women, and these simple yet elegant bracelets are a great gift to spread some positivity. We love the uplifting messages that promote a lifestyle of optimism, positivity, and mindfulness. A perfect gift for creative thinkers or just someone who likes to take notes with their pencil is this Compliment Pencil Set by Ban.do. 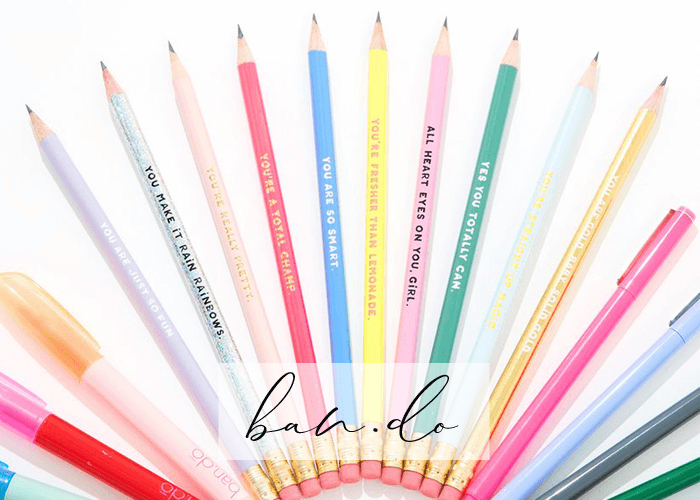 This assorted set of ten pencils will give you the freedom to pick which designs you prefer from pastel, neon, holographic, or metallic. So you can choose a set that fits whatever style the recipient is currently vibing. A great gift for career women is a subscription to Skillshare for learning. 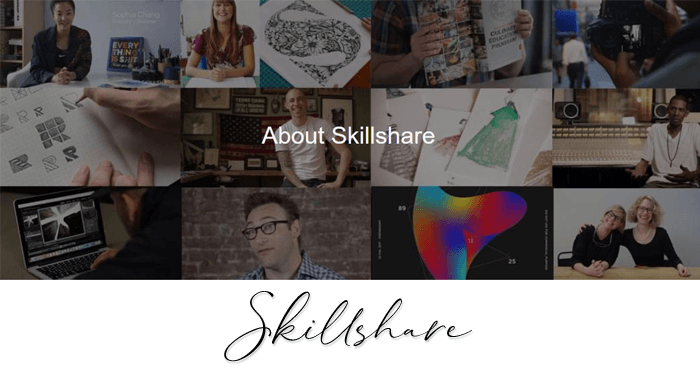 Skillshare is an online learning community with thousands of classes in design, business, tech, and more. Their classes are a great way to learn cutting-edge skills, network with peers, and discover new opportunities. I keep getting this question over and over, “What books do you recommend for professional women?” Well, here are my 10 must-read books for every professional woman, which is also a perfect list for gift ideas. 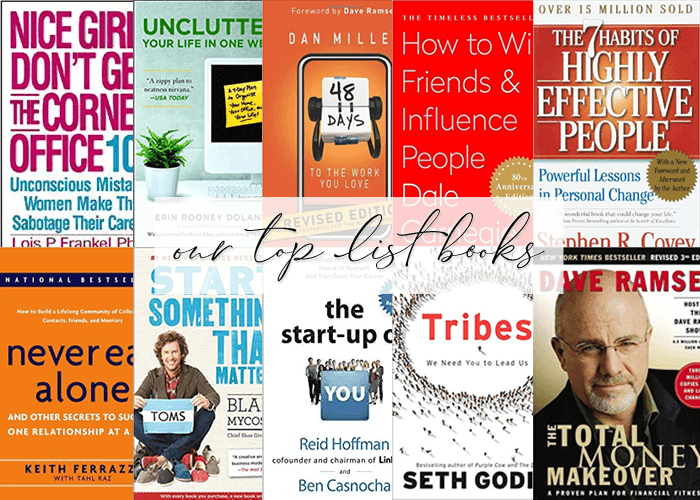 What I love about the list is that each book is a little different and they cover important topics such as finding a job you love, starting a business, networking, getting out of debt, and organizing your life. Since 2018 is about to end and we are going to welcome 2019, another awesome gift you can give is a journal. 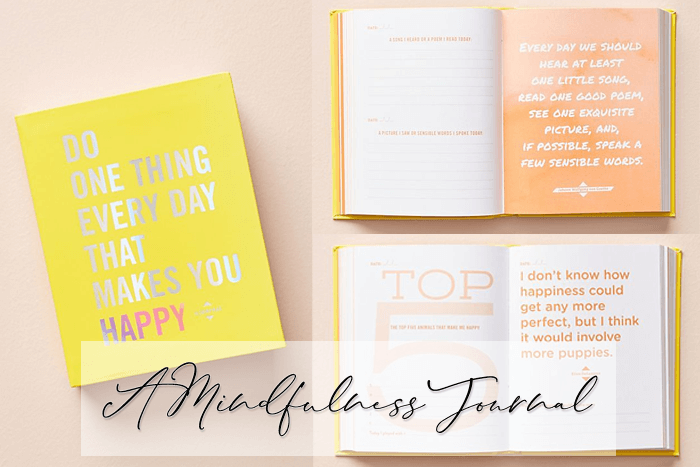 Do One Thing Every Day That Makes You Happy: A Mindfulness Journal from Anthropologie is chic and inspiring. This journal is filled with prompts, quotes, and bits of advice for those looking to reflect upon the quotidian experiences that often pass unnoticed every day. A perfect guide to a mindful appreciation of the places and people all around you that will elevate your state of mind. Inspire everyone by gifting a customized frame with an encouraging quote. Create a personalized quote poster or order a custom-made art print. This art print can be customized with your (or their!) favorite lyrics or quote. Inspire everyone who visits their home or office with beautiful frames. 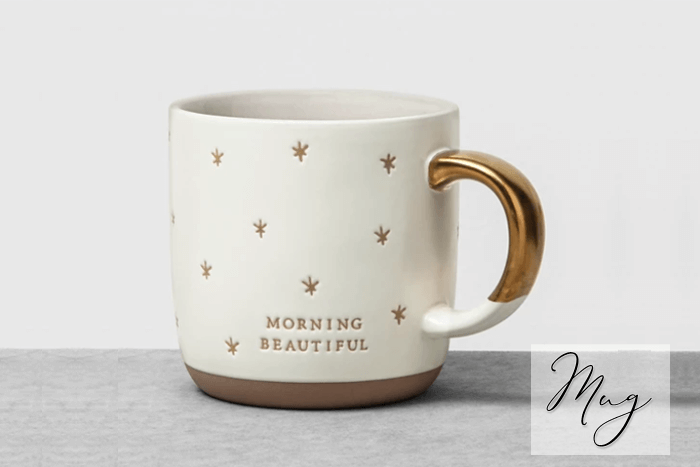 For a coffee and tea lover ladies, this “Morning Beautiful” Mug from Hearth & Hand™ with Magnolia will add charming style to their drinkware collection and add positivity to their lives as well. Do you know someone who is easily discouraged or going through a difficult time? Maybe this Affirmation Card Deck is the perfect gift for her. This deck was designed specifically to help you realize the power you already have within, and harness it to actually achieve everything you’ve ever wanted. 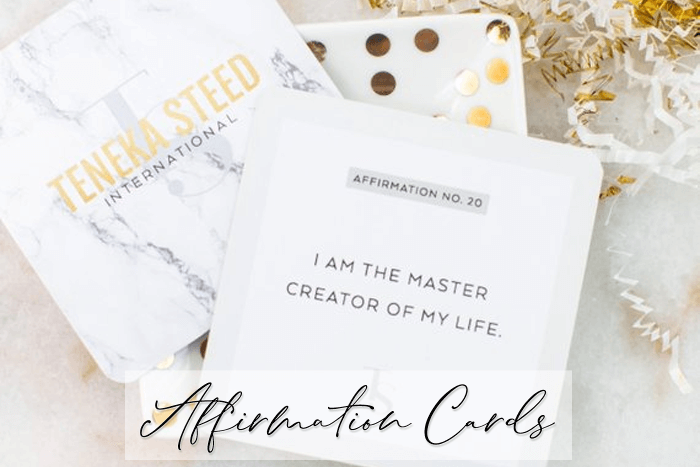 The “Manifest Your Vision” affirmation cards will help them start on a journey to living their best life. Designed with positivity and portability in mind, this gift offers them guidance on the go for when the struggle is real. Inspire someone to stay fit and healthy by giving them a subscription to ClassPass. 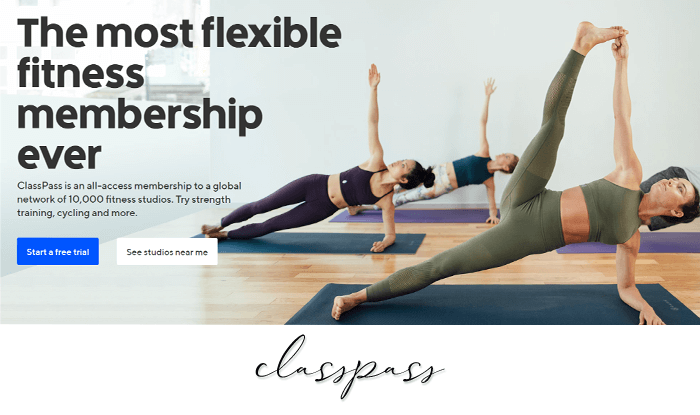 ClassPass is an all-access membership to a global network of 10,000 fitness studios. They can book classes, watch videos, and become part of a community that taps into their healthiest self. 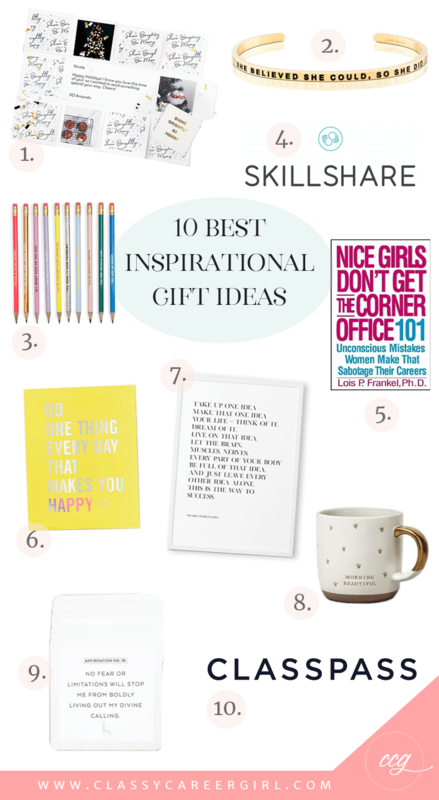 Do you have other inspirational gift ideas? Please share them with us in the comments!